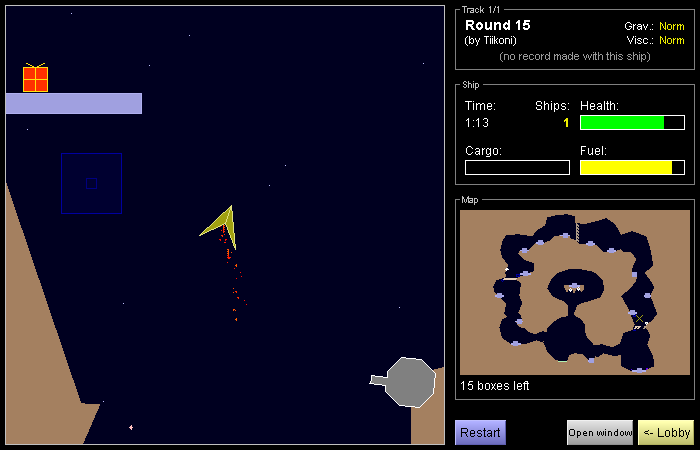 In this game player had to pick up boxes and bring them to landing platforms. More boxes player was carrying, heavier the ship was. 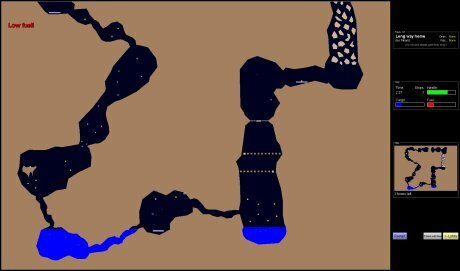 To make things harder, there was mines floating around, cannons mounted to walls and black holes sucking player in. 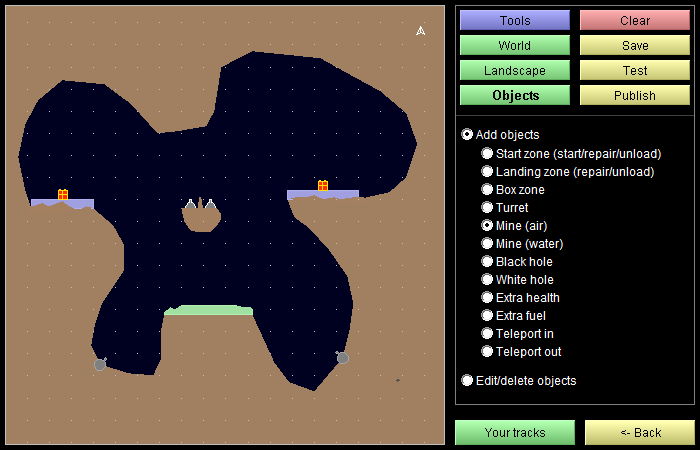 Player was able to shoot obstacles, use teleports and pick up extra items like fuel and health. To add some replay value to tracks, player was able to choose between 5 different space ships and they all had their own Top Lists. There was one basic, average ship. Cargo ship was big and clumsy but had big cargo hold so it was able to pick up and carry more boxes at once. Sport ship was fast and agile, but with small fuel tank and cargo hold. Stealth ship was able to turn invisible so that cannons didn't shoot it, but player wasn't able to shoot either while invisible. Fighter ship had extra firepower to quickly get rid of obstacles and through breaking walls. Strategies player had to use were very different depending on ship. 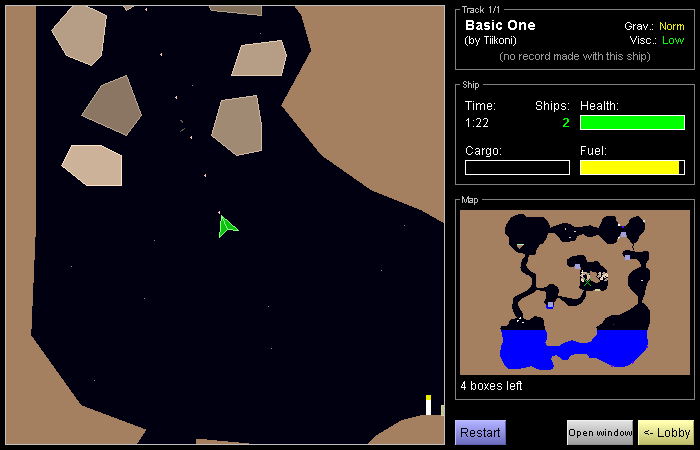 Since game was using only vectors, it allowed to zoom in and out as much as player wanted. Also good example of flexibility is that right side small map is actually exactly same component as main game area. Map just had small overlay that was showing location of player, and boxes that player is supposed to pick up, as flashing dots. Game also included full editor so that Playforia users were able to make their own tracks, publish them and let other people to play them. Unfortunately, same thing happened than with many other games that allow users to make content. There was some really great tracks, but still 95% of tracks were nearly impossible "lets put million cannons here and thousand mines there" type of tracks. These were practically unplayable even though editor did some sanity check before letting users to publish track. We added voting system that allowed other players to give ratings to tracks and once a week best track was changed to be one of the official public tracks. Unfortunately there wasn't enough players in this game to make voting work. It was easy to just ask all your friends to give good ratings to your own tracks and many times it was enough to make track pass. Eventually, this game was removed from Playforia because too high maintenance compared to amount of players this game had. But personally I'm still very happy with this project and it was certainly fun to do. 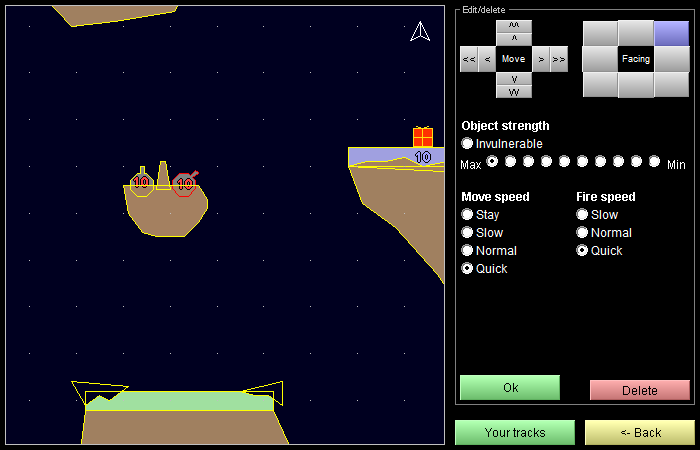 I learned a lot about vectors, vertices, polygons and collision detection.